Bill Anderson, longtime Olde Meck member, has created an impressive website that maps troop movements and significant events of the American Revolution, superimposed on modern day maps. The website - American Revolution Sites, Events, Troops - includes battles, skirmishes, and other significant events throughout the war and the entire theater of operations. From the first forcible resistance at Salem, MA, through Captain Jack's famous ride, the movements of General Greene's forces, and culminating in Washington's farewell to officers at Fraunce's Tavern, the site pinpoints troop movements and important events. The user can select items of interest and watch their movement through time. If any of your ancestors served in the Revolution, you will want to check out Bill’s website to view precisely where and when they fought and bring their experiences to light. Bill has also shared another link - Applications, Reports, Articles - that includes the above plus many other research reports and articles about Charlotte and Mecklenburg history, and the American Revolution. 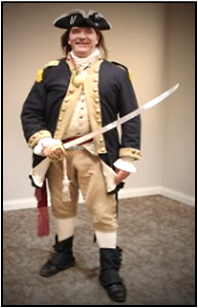 Olde Meck members were treated to a visit from Revolutionary War General Nathanael Greene at the March monthly meeting. John Misenheimer, another longtime Olde Meck member, appeared as the "Fighting Quaker" and described the events that made Mecklenburg County a key player in the success of his campaign. John provided well-researched details and many interesting stories to complete his narrative. One noteworthy revelation was that John was able to reconstruct some important troop locations that are now lying under Lake Norman by consulting Fishing Hotspot Maps of the area that include contours underwater. You may view this program and others behind the "Members Only Login." The Olde Meck Writing Group is still going strong! We usually have 7-9 people each Thursday (12:00 noon to 2:00 pm). We read stories aloud and often have a writing exercise. Recently, we spent time writing about memories of High School. Do you still remember High School? Your grandchildren would probably love to know what you did back then! Do you want to preserve your family stories for future generations but don't know where to start? Come to the Olde Meck Family Research Center and join with others who have the same goal. We share our stories, provide constructive comments, and generally encourage each other to begin this worthwhile process that we've been putting off. This group is free for all Olde Meck members AND you can bring a friend. No RSVP is needed. Please come any Thursday you can. Memoir writers: pictures of yourself at various ages. Ancestor writers: clippings or timeline or pictures of your taret ancestor. Feel free to bring a brown bag lunch for yourself. The Charlotte Museum of History serves as both the physical home and a valued partner to Olde Meck. 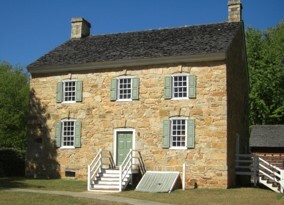 The museum was recently featured on the Trail of History series on our local Public Television channel. 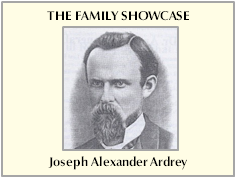 The program described the importance of the Hezekiah Alexander Homesite and the many other resources available through the museum. We think you would enjoy viewing the video to discover more about what this local treasure has to offer.